Though we do have our share of heroines who fought for women’s equality way back, the fact is that our drive did upend the structure of business and industry – male power structures – as they had been run for centuries. This demanded lots of adjustment and compromising on men’s part as we kept pushing our way in. They needed to think about these new kinds of male-female relationships and how their lives would change. How would they adjust? What would the new roles be that they would have to play with women who worked with or for them? “This is not what I expected when I grew up and moved into the places I assumed were waiting for me. After all, growing up as a boy and a man in the U.S. imbued them with the sense of power they “inherited”. I have been involved in the women’s movement from the beginning and hosted a pioneering women’s daily TV talk show in Boston in which we not only showed the first full-fledged birth of a baby but dealt with every phase of politics and the power issues of the day. And I was always aware of the fact that we were creating quite a social upheaval. That we do need to keep remembering that we were not invited in to share men’s thrones! That was our idea as we started making inroads into what had been a totally accepted societal norm till the late 60s and 70s. The triumph women feel in this truth-telling time is long overdue and certainly moving in the right direction. But I often wonder about the effect it is having on men. So now we come to the Time’s Up Movement. And the #MeToo movement. Effects? Well, the prurient secrets are out in the open. Although I was also a victim, lots of other folks have finally begun finding out about the rampant physical disrespect for women and the use of men’s power against women that has gone on for generations. The noise of #MeToo allowed many women to stand up and tell about their experiences and let the public know something that was hidden for so long. And the effects have been powerful and fairly shocking – like bankrupting Harvey Weinstein’s company and several really important TV and theatre stars losing their careers. But moving this information into the light of the major public arena has made a difference for women. One of our big problems is now shared by the world! That SAG-AFTRA award show where everyone talked about it and the women all wore black and the men wore the Time’s Up pin was enormously effective. A kind of shared “fists in the air” with steam building. What must that this have done to men? Well, I have heard defensiveness from men as well as lots of Bravos. But here it is again. We not only pushed our way into their world but now have the ability to get public notice for telling ills we have long suffered. From them!! Of course this is generalizing but when you talk of group-think, that happens. But notice the power that has recently been given to women! So, alongside the triumph of getting to tell the truth out loud, I think we should also consider in how many ways men have had change thrust upon them. That their natural resentments and defensiveness can create a bit of a backlash. But the #MeToo and Time’s Up movements are spreading new information and creating change as the cover gets blown off this long-held secret. I cannot leave before I recognize and applaud the younger generations. Born into this new world, they have accepted these changes: Moms working, Dads sometimes playing Mom’s roles, new levels of sensitivity and openness to the many variations the human condition can create as the norm. Accepting what has happened to women’s roles, they did not pay the costly price of intrusion and change thrust upon previous generations. So, it’s interesting to ask the men you know, how do they really feel about the changes the women’s movement has wrought and which side of Time’s Up are they on? Let me begin by telling you that I’m a long-time jury consultant who’s studied and interviewed juries, worked on many cases and written three books about what makes jurors listen and how they decide. Because of this, I’ve spent a lot of time over the years as a commentator on the media discussing famous cases (including the whole O.J. Simpson case live on daily TV) and analyzing how jurors would see the developments in the case, what the issues are for lay people in these cases, what they believe and understand and so on. So I’ve been watching the Trayvon Martin case and how it has advanced with a practiced eye. And although I’m pleased to see that it has now finally moved into the courts and the judicial system, where it belongs, I shake my head about how it got it there and what’s happening to the original intentions of how American law is supposed to be practiced. You’ve probably heard the phrase “to be tried by a jury of their peers,” yes? When our system of laws was formed, “a jury of their peers” was indeed possible and made lots of sense. It meant that not only would most people in any town know the accused and his family but that the jurors thus chosen (though I must decry the fact that it was then only men who were asked to serve… ) all lived in the same environment, understood the efforts of life in that place and shared a number of the common burdens as well as benefits they lived with. They were part of one community and would therefore understand the problems people faced as well as share conclusions about what was a mutually beneficial way to live together and what was out of bounds. And they did utilize the laws of the land as they were created and given. Well, we have surely grown from those days. Juries today don’t often reflect or share the lives of those accused and may have come to vastly different conclusions about how life should be lived in their community. But I’ll tell you something that is very encouraging. Jurors generally take their work very seriously and really do want to do a good job. And, by and large, the jury system of 12 lay people listening, discussing and deciding is still the best way to bring justice to the analysis and conclusion of any case compared with the other narrow possibilities — a single judge or a panel of three judges or a military tribunal deciding on civilian cases. It’s what has worked for us Americans since we began and speaks of the same intrinsic faith in us as human beings that democracy and voting itself represents. So what’s happened to that old idealistic system as our country has morphed into a 24-hour news-hungry electronic loudspeaker-with-pictures that rushes to bring us every detail of any event in our daily lives as soon as it happens? Trial law insists that only the facts and evidence presented in court, during the trial, as sworn testimony heard equally by the jury and all concerned and allowed by the judge according to the rules can be used to analyze and decide on a fair and just verdict. And how is this jury chosen? What is the big goal? To find people who are questioned by the lawyers and/or the judge to be sure they do not have prior knowledge of or prejudice about the case so they can hear what will be said and shown with an open mind… That they haven’t already made up their minds until they hear the evidence. 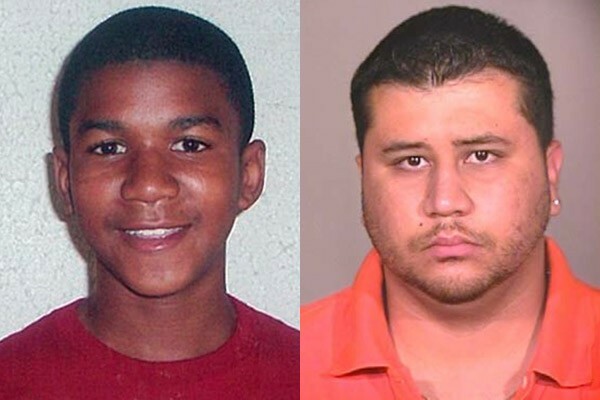 And what have we got now in the Trayvon Martin case? What hope of finding an open-minded jury of his peers to judge the defendant as we have absorbed the media frenzy for over a month? We must look at the two sides of this effort — the powerful role the media played to spread the news and get a defendant to even stand trial. But at the same time what evidence was being discovered and described and shown in infinite detail by this same media process? To everyone in this country and beyond? And now that we’re here, what effect has all this information — untested, unexamined from both sides as prescribed by law — had on our hopes of proceeding with a fair trial as prescribed by law? So along with our instant access to everything media wants to send us, I’m ruminating about what basic principles and carefully nurtured systems of our democracy are maybe falling by the wayside?